A runaway bull on Water Street, a foiled hold-up, skating across the frozen harbour, and an aunt stuffing her niece’s pockets with cheese to keep the fairies away: these are some of the stories told at our last Marjorie Mews Memory Mug up with local seniors. 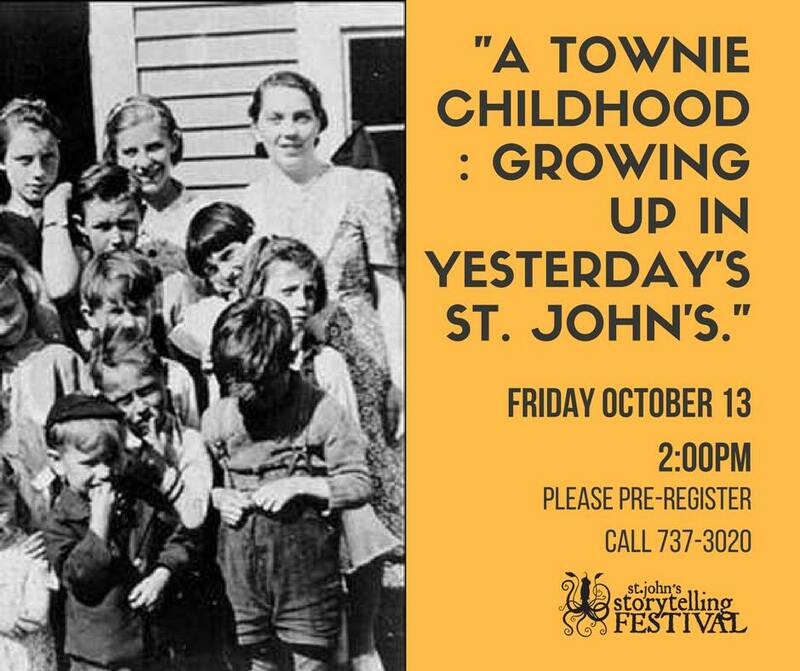 Hearing those tales left us hungry for more, so we are back another storytelling session at the library, with the theme, "A Townie Childhood: Growing Up in Yesterday's St. John's." We want to hear your memories of growing up. You bring the stories, we’ll supply the tea and biscuits, and we will all have a chat! Following the sessions, those who are interested can set up a time to have their stories recorded and archived by one of our story collectors. 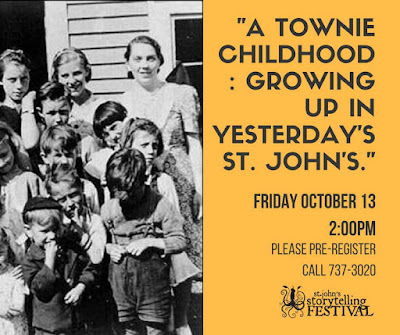 This is a free event, brought to you by the St. John’s Storytelling Festival, the Heritage Foundation of Newfoundland and Labrador, and the Marjorie Mews Public Library. Space is limited please call or stop by to pre-register. 709-737-3020.